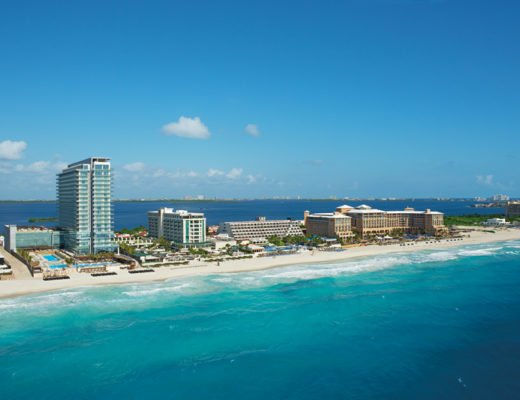 Weddings at Finest Playa Mujeres offers all-inclusive luxury that everyone can enjoy! Experience full-on pampering while surrounded by natural beauty and cultural delights. 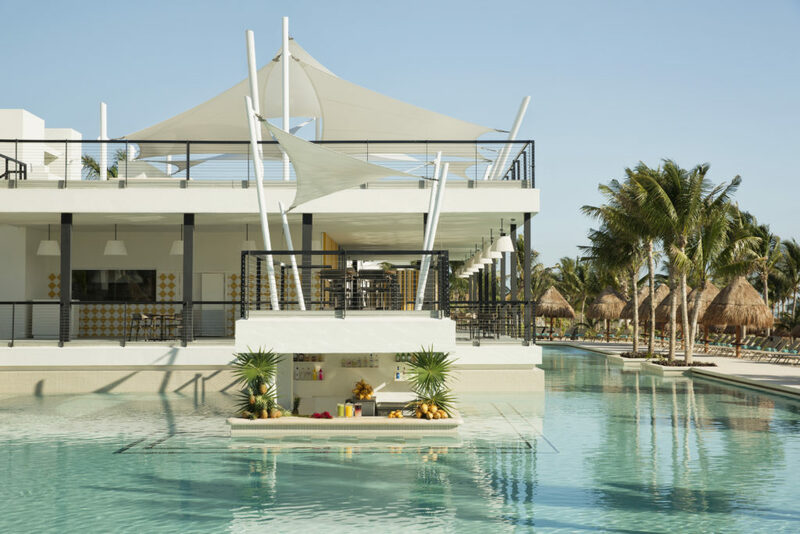 Whether you’re sampling local cuisine, sipping on a handcrafted cocktail, or chilling in your carefully appointed suite, you’ll love every moment of your stay at Finest Playa Mujeres in lovely Cancun. 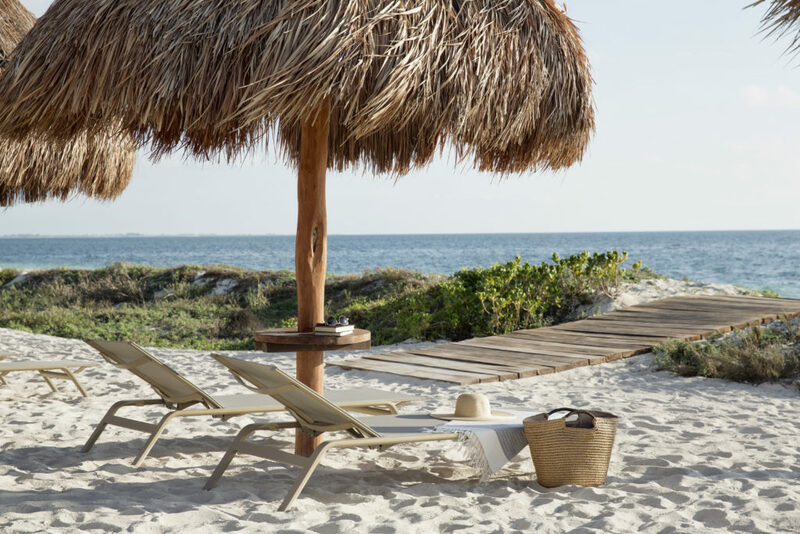 Boredom doesn’t exist at Finest Playa Mujeres, where every day is an adventure. Cultural entertainment opportunities abound, including comedy performances and live music. Party all night at one of the resort’s theme events; favorites include Michael Jackson tributes and Mexican folklore. During the day, get outside for a thrilling game of beach volleyball or football. 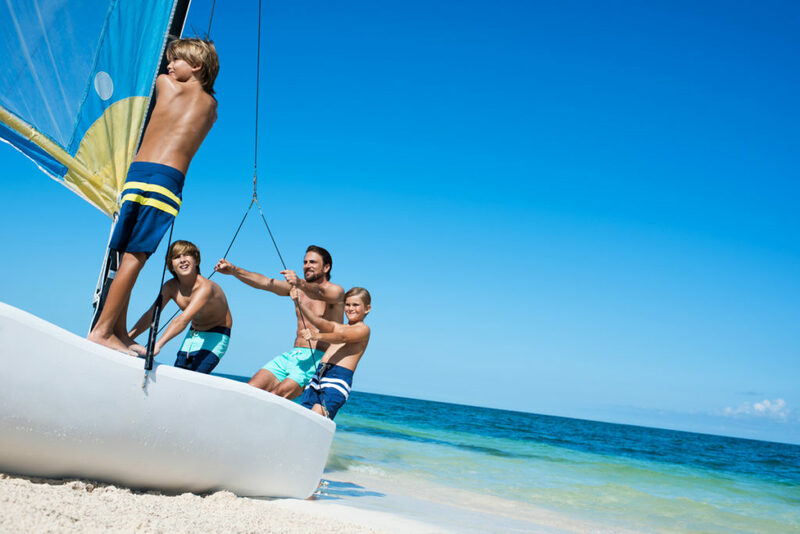 Take advantage of a variety of watersports, including kayaking, windsurfing, and paddle boarding. Experience true serenity while taking yoga classes. As you do all this, find comfort in knowing that your kids are having just as much fun as you are; they’ll be endlessly entertained in exclusive children’s facilities, including a specialized pool. 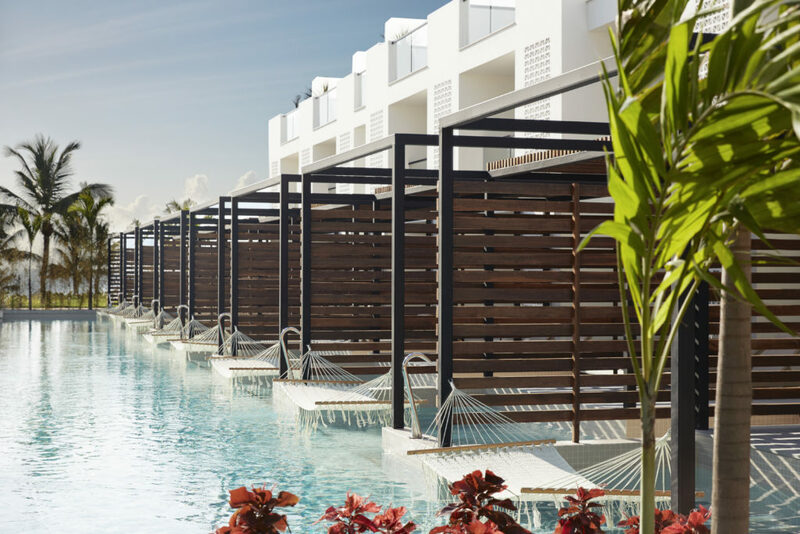 Versatility is the name of the game at Finest Playa Mujeres. Options are plentiful for couples, families, or groups of friends. After a day of exploring, kick back in your private suite, which features a spa-like bathroom, a pillow menu, and a fully stocked minibar. Spacious suites start at an expansive 800 square feet. Depending on your preferences, you can select accommodations with a view of the pool, a swim-up suite, or a suite with its own plunge pool. 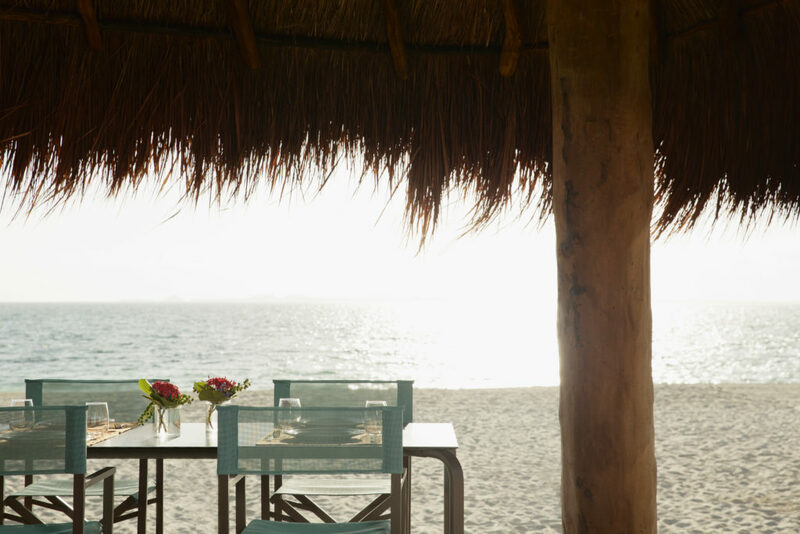 Whether you’re a foodie or an incredibly picky eater, you’ll find something to love at Finest Playa Mujeres. There’s no need to deal with the hassle of reservations; just stop by whichever gourmet restaurant captures your fancy. In the mood for Teppanyaki? Dress in your finest vacation outfit for a visit to Shoji. For a casual experience, head to the La Cocinita Food Truck or the Las Dunas Beach House. After you’ve eaten you fill, be sure to visit one of the resort’s many bars and lounges for an after-dinner drink (or two!). Experienced mixologists will whip up the perfect drink. Unwind with a cocktail at the piano bar, or sample trendy gins at the Sky Bar. 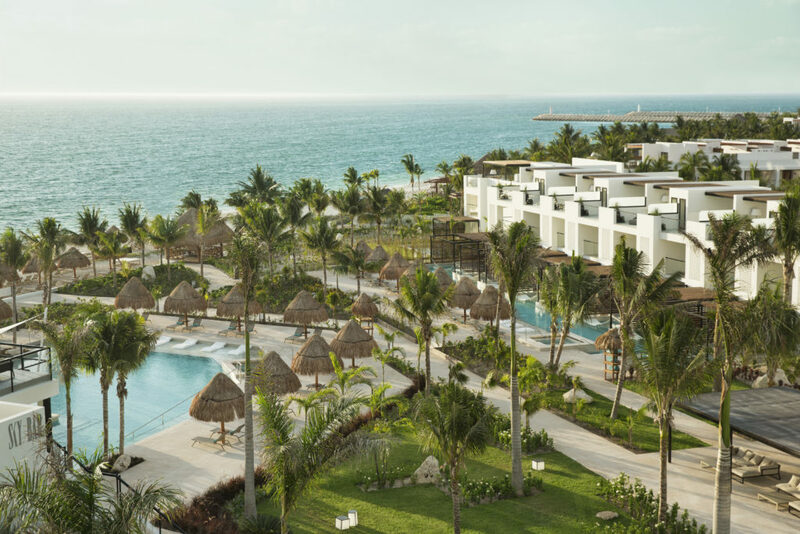 Finest Playa Mujeres may be best known for its family-friendly amenities, but it also boasts a romantic atmosphere. 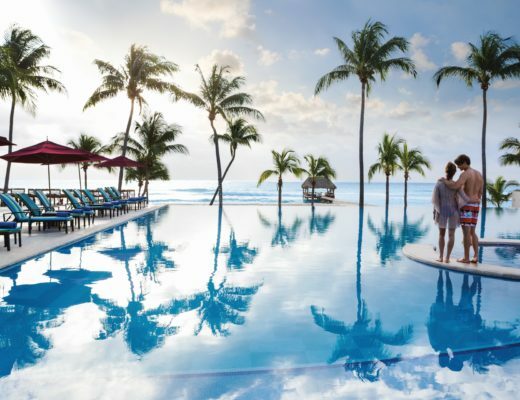 At the bar, at the beach, or in your private plunge pool, you’ll feel your heart beat a little quicker every time you glance at the love of your life. 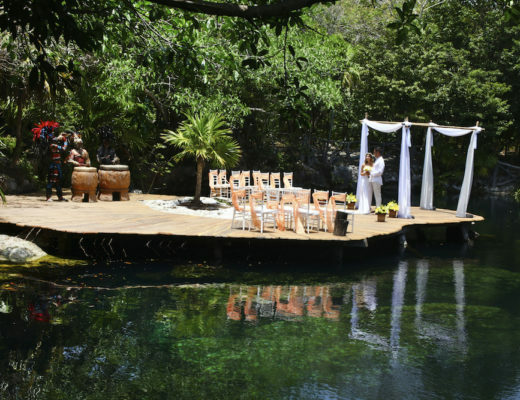 Take the ultimate next step while saying your vows before the most beautiful backdrop. Enjoy perks like complimentary floral arrangements, discounted spa treatments, and even a horse-drawn carriage transportation! Afterwards, you can relax during a built-in honeymoon, complete with a luxury suite featuring a Jacuzzi. 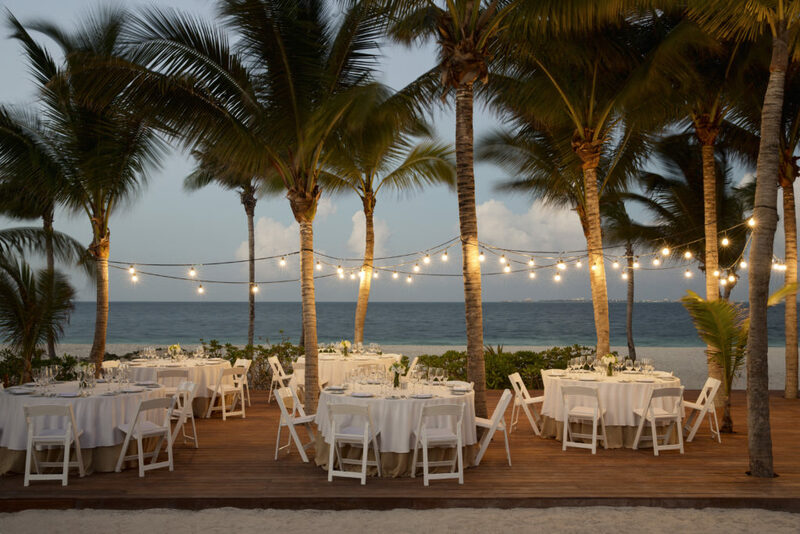 Weddings at Finest Playa Mujeres are the epitome of luxury! Ready to book a family vacation or your dream destination wedding? Click here to start your perfect getaway at Finest Playa Mujeres!